Fishing in Aruba is sure to be an exciting adventure, whether you are an experienced fisherman, or this is your first time trying your skills at this sport. Aruba fishing may be a little different than fishing in your own country. For one thing, you are not required to have a fishing license on this island...just the desire to fish! If you’re looking for that exhilarating feeling you get when you feel that tug on the line and try your hand at “reeling in the big one”, fishing in Aruba is where you will get that opportunity. Aruba’s waters are filled with all kinds of fish all year round. These Caribbean waters have quite an assortment of fish including Mahi Mahi, Wahoo,Tuna, Blue Marlin, White Marlin, King Fish, Sailfish, Amberjack, Barracuda, Red Snapper, Blue Tarpon, Permit, Snook, Rainbow runners, and Shark. The experienced fisherman on the island know where each species hangs out, what bait to use, and anything else you need to know for an exciting fun filled day. 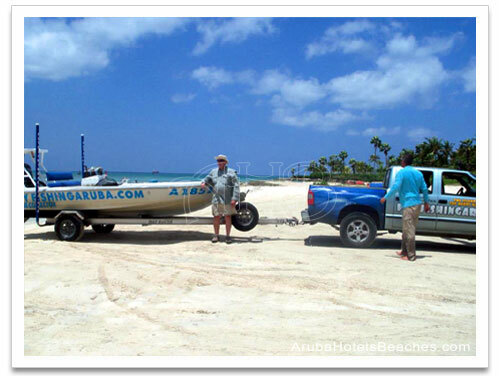 Whether you want to try your skill at Aruba deep sea fishing, light tackle fishing, or Aruba fly fishing, and bottom fishing, fishing in Aruba has it all. 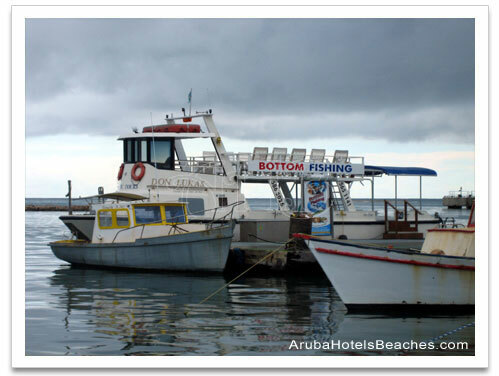 There are many Aruba Charter boats that will take you out for half a day or a full day of fishing. Most will include an experienced Captain, tackle, bait, snacks and drinks such as water or soda. Some captains will allow you to bring your own beer on board and they will keep it cold for you. Don’t forget your sunglasses and sunblocker. 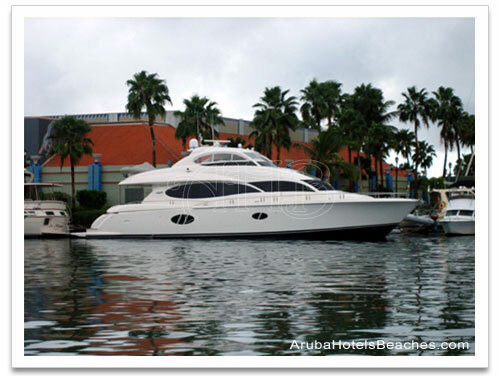 The Aruba charters vary in size and price. Shop around for what’s best for you. 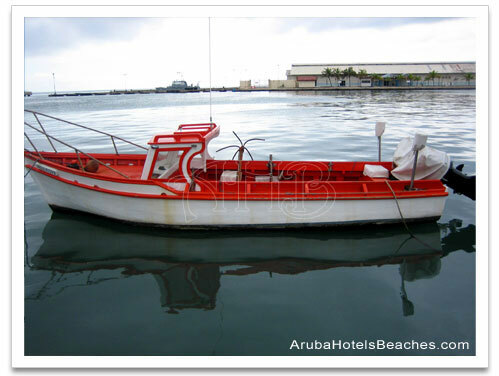 Check the concierge desk at your resort for their recommendations on fishing in Aruba. Most have a listing of all the charters, their captains, and prices. 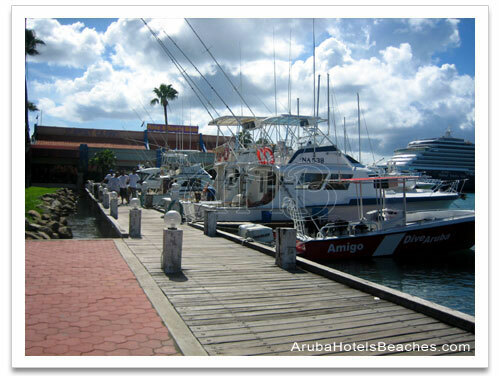 Most Aruba fishing charters are docked at either the Seaport Renaissance Marina across from the Renaissance in Oranjestad, at Hadicurari Marina between the Holiday Inn and the Marriott, or one of the piers along Palm Beach. All Billfish are “catch and release” but other fish are catch, cook and eat. There are restaurants that will cook your fresh catch for your dinner. Ask the captain if he will make those arrangements for you. If you’re short on funds and want to spend less and be more adventurous, go to the Fisherman’s huts near the Marriott early in the morning (or Hadicurari or Seaport Marina in Oranjestad). The local fishermen also will take you fishing on their smaller boats, usually colored red, orange, yellow or blue, for a small fee (about $50) to help pay for their gas. You certainly will not have all the little extras that will make you more comfortable, or all the supplies you may need, but you will save money and have a unique adventure. Mahi-Mahi Hatteras Sportfisherman 42 ft.
Kepasa Hatteras Sportfisherman 42 ft. Many visitors come to Aruba for a fishing vacation all year round since the island of Aruba has plenty of species of fish. 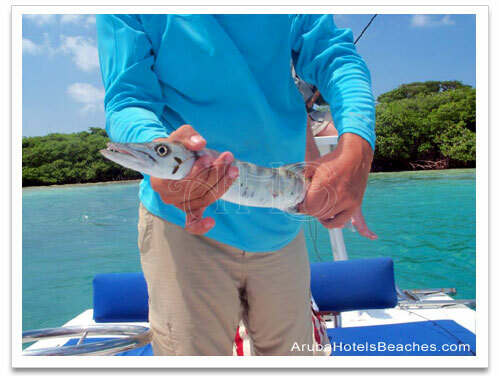 Aruba fly fishing has its peak season which starts in March and continues until October. 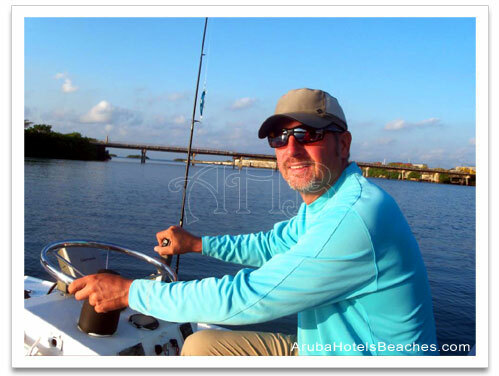 Laurenz will take you to the best fly fishing spots in Aruba. 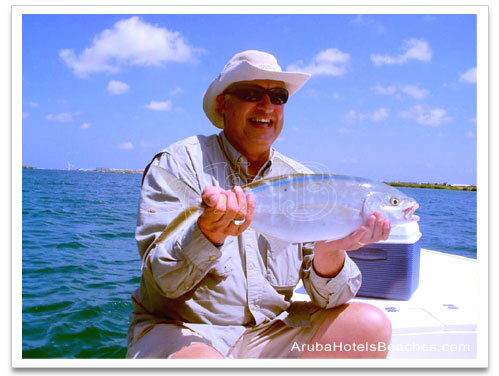 Aruba fly fishing is usually done on the west coast side of the island. Laurenz also welcomes spin and light tackle fisherman. Tackle and gears from Sage, Orvis, and Rio. After a fun day fishing in Aruba, why not experience an exciting day of Aruba Snorkeling or explore the countryside by going horseback riding in Aruba! 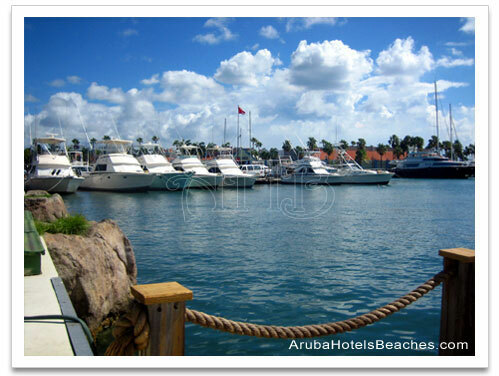 You can also return to our Aruba Activities page.